Waterloo, ON - Research In Motion (RIM) (NASDAQ: RIMM; TSX: RIM) today announced three new BlackBerry® smartphones featuring the BlackBerry® 7 Operating System (OS). 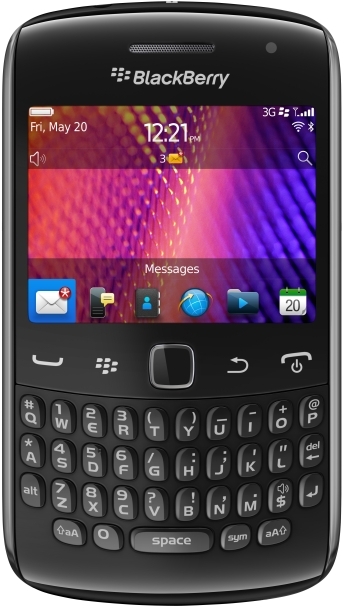 The all-new BlackBerry® Curve™ 9350, BlackBerry® Curve™ 9360 and BlackBerry Curve™ 9370 smartphone are exciting additions to the popular BlackBerry Curve series. BlackBerry 7 OS also includes a number of other pre-loaded applications and integrated functionality for increased productivity and collaboration right out of the box. The Premium version of Documents To Go is included free of charge, offering users powerful document editing features as well as a native PDF document viewer. BlackBerry® Protect is also pre-loaded, offering customers the peace of mind that personal data can be backed up and secured in the cloud. With BlackBerry Protect, users can locate their misplaced BlackBerry smartphone using GPS or remotely turn up the ringer for an audible notification if their handset is close-by. BlackBerry® Balance (announced May 2, 2011) is integrated in BlackBerry 7, allowing users to enjoy the full BlackBerry smartphone experience for both work and personal purposes without compromising the IT department’s need for advanced security and IT controls. The popular universal search capability has also been enhanced with support for voice-activated search, so users can now simply speak to begin searching their device and the web for information.